Thirty years and Debbijean still can’t make a prediction, and this is all she has? She’s attacking me for doing my job. Go to any of the big sites. None of them predict, because they don’t know how. Why do people love to read their daily horoscopes? Because they make predictions. But not predictions that are actually true. Predictions that are fun. What I do is different, because I use the person’s actual birthday — not just their Sun sign. Someday, I want everyone to know in advance what their aspects are so they can make decisions accordingly. Meg Whitman will have karmic retribution for being fortunate enough to have $150 million to give away and then choosing to use it for selfish purposes. You know, those Three Wise Men? That’s why they were called wise. They foretold of an important man, and what he would mean to the universe. And they brought him gifts. In other words, Debbijean, just in case you missed it, they predicted. They were enlightened and generous. 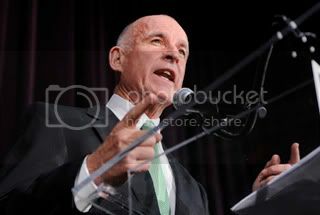 I predicted on June 9, 2010 that Meg Whitman was wasting her money and that Jerry Brown would be the next governor. And by the way, Jerry ran his campaign on a shoestring. He’s not a man to waste his money or yours. Hallelujah for California. Maybe we have a chance to get out of the mess we are in. And anyone using Debbijean as an astrologer, don’t you think she’s just a teeny-bit angry? Sunny>>>> yep, I would agree she does come across as not only angry, but abusive. your article was not only well written , but well delivered. I love your blogs and always look forward to reading them. Please keep it up! Nice to see an astrologer who’s accurate.